This week’s Evolution 101 post is by MSU graduate student Thomas LaBar. Many organisms live and interact within groups. 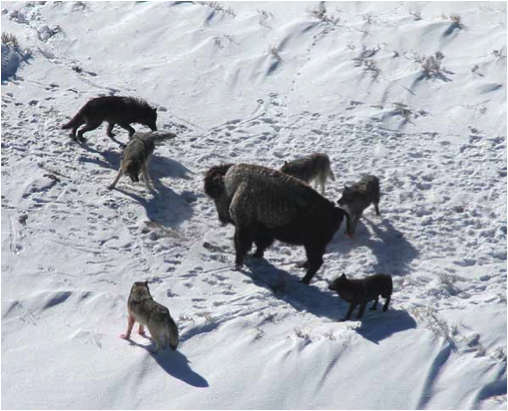 Beehives, wolf packs, and bird flocks are just a few of the groups that exist in the natural world. Humans also live in groups of many different sizes. However, even though groups are common in nature, early researchers of evolution struggled to explain how they evolved. The problem was that individuals within groups often cooperate and act altruistically, or nice, towards each other. The idea of natural selection, where individuals compete and the fittest ones get to pass on their genes, didn’t appear to allow for cooperation. Group selection, the idea that groups compete just as individuals do, and the behavior of the individuals within a group affects each individual’s own fitness, arose to explain the evolution of altruism. Biologists define an altruistic behavior as one an individual takes that lowers its own fitness and increases the fitness of another individual. For example, consider how reproduction works in a honeybee colony. Only one female reproduces: the queen bee. The rest of the females, the workers, help raise her offspring instead of producing their own. If evolution occurs by individuals passing on their genes, how did this behavior evolve? This type of behavior isn’t unique to honeybees; many species possess altruistic behaviors. However, if an altruistic behavior lowers an individual’s fitness, and evolution selects for individuals with higher fitness than others, how does altruism evolve? The original explanation group selection provided was that individuals would cooperate for the “good of the group,” or the “good of the species.” In this scenario, group of altruistic individuals has a higher fitness, due to altruism, than a solely non-altruistic group. These altruistic groups would outcompete the non-altruistic groups, just like an individual with higher fitness (in an evolutionary sense) outcompetes individuals with lower fitness. However, this argument has a flaw. Imagine that one of the individuals in the altruistic group has an offspring with a mutation that causes it to be non-altruistic. This individual would have a higher fitness than the other group members, and, over time, future generations of this group would consist of an increasing number of non-altruistic individuals. Eventually, the group would become solely non-altruistic. This issue led to the demise of group selection for many years. In its place arose kin selection theory. This theory explained the evolution of altruism by showing that it could evolve when the relatedness of individuals to each other was considered. If individuals acted altruistically towards relatives, the altruistic individuals’ genes would still spread, since its relative shared many of the same genes, compared to other non-relative individuals. After kin selection was discovered, very few biologists proposed group selection ideas in their research. However, the theory of group selection has seen a revival in recent years, often under the term multi-level selection theory. As the name implies, this theory argues that one must consider not only the fitness effects of the individual, but also the group. One reason for group selection’s revival is that, in some cases, it is hard to tell which theory (group or kin) provides better explanations. Again, consider the beehive. 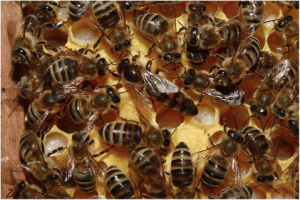 All of the worker bees are related to the queen. Is it better to use group selection or kin selection? Furthermore, in some cases, the mathematics of the respective theories (which is beyond the scope of this post) allows researchers to draw the same conclusion. As it stands today, both theories have scientists that support them. One should try to get a balanced view when studying this topic, as both sides have interesting ideas.